The noun ‘station’, contrary to the verb, brings to mind images of movement: the coming and going of travellers, vehicles, goods. 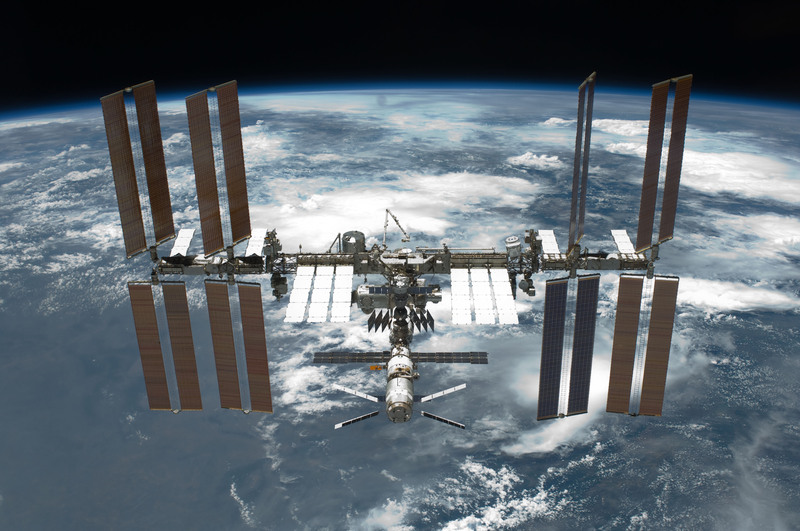 On the International Space Station in recent weeks we have had a demonstration of the possibilities offered by our extraordinary orbital spaceship which has been my home now for little over three months. 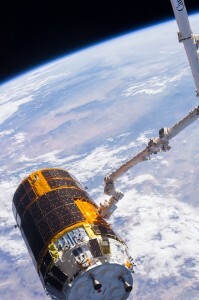 The first departing spacecraft was Kounotori4, the Japanese White Stork that kept us company for several weeks, increasing and enriching Node 2’s volume with its presence. The cargo ship has returned to Earth’s atmosphere, disintegrating in a shower of blue plasma. I was the one to send the command that started the reentry manoeuvre: I followed the cargo vehicle with my eyes and I saw the golden glitter of the heat shield as it moved away from the Space Station, silhouetted against the brilliant blue Earth. “It’s just a robot,” I said to myself, “there is no need to be sentimental …” – but I was wrong. Because the hearts of all those who have participated in its perfectly successful mission – no matter how small – beat a bit faster and a little bit of something that makes us human accompanied Kounotori4 on its last journey. The second departure was the one of the three crew members of Soyuz TMA-08M. The similarities with the departure from Earth is exhilarating to me. In recent days I watched Chris as his day of departure approached. Almost a year ago I observed another Chris (Chris Hadfield), for whom I served as backup, getting ready for his launch. Both astronauts are such extraordinary people that nothing can pierce their armour. A few nights ago I took advantage of a quiet moment after a long day of work, to ask Chris how he felt about his return to Earth. “I think I will miss all of this, but we are ready … yes, we are ready” he said. Then, on the actual day, while Chris, Karen and I were finishing our last dinner together in orbit, suddenly Chris said, as if continuing an unfinished thought: “The strangest thing is that amongst all things that I could think of, the one thought that comes to my mind right now is that, on Saturday, you will be here cleaning, as always – while I will have been back on Earth for a few days … “. The whirlwind of emotions seems to come suddenly and almost without my noticing, the time to close the hatch comes. Behind it there are three faces that have accompanied me in some of the most extraordinary moments of my life. I referred to everyone and no one in particular when I said goodbye : “I am happy because you are happy…”. Their presence, so different in personality and characteristics, is perfectly summarised by their three shining smiles as the hatch closes with a quiet sense of purpose, sealing them inside their spaceship. In a little while they will put on their suits and settle into position and the onboard computer will come alive under Pavel’s and Sasha’s competent, gloved fingers. In a few hours they will be on the ground. I thought long and hard about what Chris meant when he said that. I got the answer from my wife, when I talked to her after their departure. With her insight and sensitivity, she explained that probably he was referring to the fact that for the last six months, in an environment where each day presents new challenges, and nothing is ever routine, the Saturday cleaning was the only focal point of the passing of time, of normality. And losing such a reference, however humble it is, takes on a special dimension when everything is about to change in a matter of hours. Meanwhile on the Station the work goes on, and I find solace in the unyielding passing of time. They say in Italian that for every departure there is an arrival and preparations are already underway for the arrival of a new cargo ship on its demonstration mission, Cygnus-D, the ‘Swan’. Just a few days ago the official confirmation came that I will perform the spacecraft capture at the controls of Canadarm: a new challenge and another training for me. As on each demonstration mission, you add a new component to the already extraordinary nature of the work due to the awareness that it is still an experimental phase for this ship. I am exponentially grateful to those who have confided the task to me, because it offers a unique opportunity for professional growth, not only for me but also to the space agencies that I represent. This will be the first time that a European astronaut will be at the controls of Canadarm to capture a vehicle in free flight. 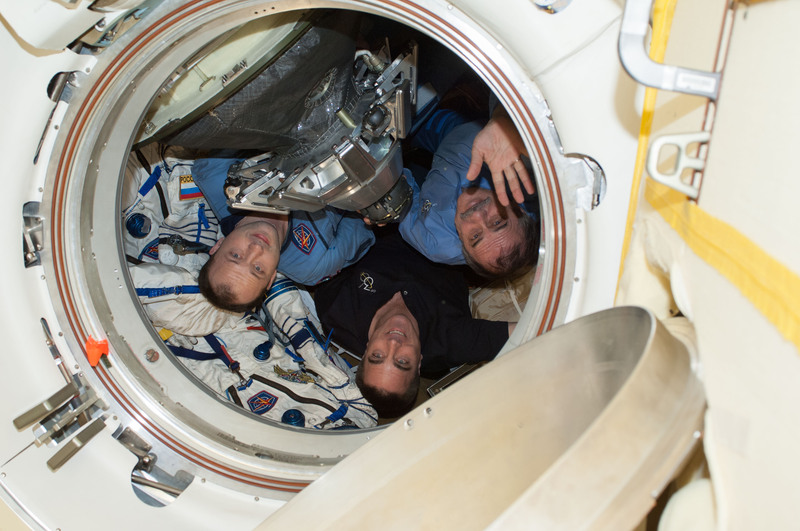 Finally, we are preparing for the arrival of the other half of Expedition 37 – Oleg, Sergey and Mike. I still recall the last time I saw Mike: I was at the European Astronaut Centre in Cologne, Germany, and I had just finished my last simulation on Europe’s space laboratory Columbus. Walking down the long corridor towards the exit on my way to the airport, I remembering seeing Mike busy with his own lesson. I greeted him and he responded with his open and friendly smile. Once at Star City I realised that the next time I would see would be on the Station – five months later! I would have liked to have organised a similar welcome that Chris had reserved for me – when he shaved his head to look similar to me. Unfortunately, despite my stay in microgravity, my hair has absolutely refused to grow. The desert has remained as arid as sand burned by the blinding Sun. Mike will have to settle for a fraternal and sincere hug. Le tue parole come sempre riescono a bucarmi il cuore. Diversi anni fa ero imbarcato di complemento su una nave della nostra MM e conosco bene il senso di appartenenza che accomuna colleghi che “navigano” a stretto contatto l’uno con l’altro per mesi. Questo tuo magnifico post mi ha fatto rivivere i miei serrati turni di guardia in C.P., a braccetto con due marescialli, un altro guardiamarina, ed un caporale; mi ricordo come fosse ieri (e sono passati quasi 13 anni) lo sguardo negli occhi del mio collega guardiamarina di un corso dopo il mio quando sono sbarcato: ne ho un’immagine molto offuscata però, dato che miei occhi non erano certo asciutti. Anche se non ho mai partecipato ad una missione nemmeno lontanamente straordinaria come la tua ho l’impressione di capire perfettamente quello che ti passa per la testa e per il cuore e ne sono fortemente commosso. Luca, thank you so much for all of your blog updates and amazing pictures. It is very nice to learn about life in space and the comings and goings aboard the station through your very well written posts. Apenas veo en el twitter que has escrito en el Blog y mi mano se mueve presurosa para llevar mi vista ràpidamente a tu relato. Entonces siempre me encuentro con el Luca -Astronauta-Escritor, pero màs aùn, me encuentro con el relato de un Ser Humano que a la distancia , siempre llama poderosamente mi atenciòn. Y creo que ahi està la clave del poder que ejercen tus vivencias sobre nosotros; simples lectores, espectadores y admiradores!!. Allì donde se plasman tus sentimientos, tu escritura se vuelve un arte. A A disfrutar esa privilegiada y – seguramente- merecida vida Luca! lei in questi mesi è diventato per noi un po’ come il sabato mattino era per Chris. Un punto fermo, anche se tutto si muove continuamente, intorno a lei ed intorno a noi. Non sarà per sempre, ma per ora è così. La sua presenza ci rende felici, i suoi commenti c’ inorgogliscono, viviamo le sue avventure quasi come fossero le nostre. Continui ad essere sentimentale perchè ( come ci dimostra ogni giorno) il cuore è il motore di tutto. ti seguo sempre, credo che tu sia il primo passo del umanita verso la conquista dello spazio ! Ciao Luca, da un po di tempo ti seguo con affetto. qui sulla terra il mio lavoro da forestale mi porta ogni tanto ad alzare lo sguardo al cielo, per sapere se pioverà o se l’umidità scenderà portando pericolo d’incendio. Ma leggere i tuoi commenti alle foto che ci permetti di condividere da un senso di completezza, di appartenenza a questa nostra terra, di confidenza con le rughe del pianeta, con i solchi dei fiumi, con le ampiezze del mare e delle nuvole. A me permette di capire meglio i processi in cui sono coinvolto. Mi sa che ci siamo sbagliati tutti. Ti ho visto, quel martedì, armeggiare con l’HTV, con il suo vestito elegante arancio rame, ed ovviamente anche l’indomani, giorno della sua partenza. Non ti dico il mio stato d’animo nel vederlo chiuso. Sembra ieri che lo abbiamo visto arrivare in diretta, aprire, svuotare, te là dentro… e vederlo nuovamente sigillato mi ha messo tristezza e malinconia. Lo so, è esagerato, ma è stato come vedere chiudere una pagina. E si parla di una navetta. Poi è arrivato il giorno della partenza di metà dell’equipaggio, e che te lo dico a fare? Per me la tua missione è la 36, rimarrà sempre quella, anche quando cambierai le magliette. Sono quelle le facce che ricorderò, le prime emozioni provate, i momenti indimenticabili… sono tutti racchiusi nella Penguin di Sasha, nell’immagine di Chris, là fuori, che con la mano ti solleva la testa per vedere cosa sta succedendo nel tuo casco (devo fermarmi un attimo), nella cena italiana offerta a tutto l’equipaggio, tu e Chris alla prova delle vostre EMU, etc… E vederli entrare nella Soyuz, con le loro mani svolazzanti che salutavano gli amici rimasti a bordo, poi lo stacco e l’inizio del volo nel vuoto… indescrivibile. Momenti di lacrime felici e malinconiche, contemporaneamente, per qualcosa che non ci sarebbe stato più. Non voglio pensare a quando scenderai tu. Aiuto. Che bello Lù, il Cigno avrà un cacciatore in gambissima! Sono tanto tanto felice di questa nuova esperienza che ti aspetta. Non vedo l’ora di condividere anche questa nuova emozione con te, ed anche stavolta potrò dire: io c’ero! Quanti indizi, ancora una volta AstroLuca, ci sveli di te. Chissà se quando i giornali scriveranno di quest’avventura, capiranno cosa hai regalato quest’estate a chi ti segue. Ci hai donato un pezzettino del tuo sogno, rivestendo della tua umanità persino cannucce piene d’acqua e bracci meccanici. Quando scrivi usi il presente, perchè ogni attimo lo vivi come fosse l’ultimo. Ed in ogni tuo scritto, presente come un faro, ma silenziosa, il tuo punto di riferimento nel turbinio di emozioni che a volte provi, è una figura femminile, che con il suo intuito ti scioglie un dubbio, e ti riporta al concreto e al reale. E la tua bella avventura continua, tra nuove sfide ed incontri con nuovi coraggiosi. Grazie di essere sempre generoso con noi, grazie di ispirarci a trovare il bello nel quotidiano. E se dovessi avere un attimo di stanchezza guarda verso giù e scruta sotto il cielo. Li vedi ? Sono i nostri sorrisi che ti ringraziano di essere semplicemente un Uomo. I vostri sorrisi mi illuminano le notti. Grazie! GRAZIE LUCA! hanno scritto tutto! e meglio di me. Le tue parole “bucano” lo schermo…. mi sa tanto che ti aspettano minimo 10 libri da pubblicare!!!! Leggere questi racconti provenienti dallo spazio é magnifico. Un libro seppur bellissimo non è la stessa cosa perché quando lo scriverai sarai qui sulla Terra. Ora invece sei lassù e questo blog ci porta in orbita con te! 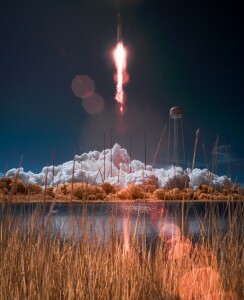 Grazie ancora per questo dialogo spaziale e in bocca al lupo con il Cygnus! Mi permetto di darti del tu, visto che i tuoi racconti sono sci tecnici ma molto informali. Leggendo il tuo blog ho imparato a conoscerti un poco e, con i tuoi commenti, hai dato la possibilità ad una appassionata come me di conoscere la quotidianità nello spazio, gli spazi della ISS, gli scatti meravigliosi e spettacolari della nostra amata Terra, da un altra prospettiva. Restare ore ed ore a guardare il cielo, in attesa del passaggio della stazione. Pensa, la prima volta che ho visto quella “stella lucente in velocità”, mi sono emozionata. La tua missione, i tuoi esperimenti sempre condivisi, l amarezza per l interruzione della tua passeggiata spaziale, direi “gli imprevisti della diretta”, e le tue emozioni che sono diventate anche di chi ti segue. Non x ultimo, ma con orgoglio, l essere stato designato x l aggancio di Gygnus. Tutto questo con l orgoglio di essere Italiani. Caro Luca, e spero che non ti dispiaccia quell’aggettivo con cui ho iniziato. Caro, dal vocabolario “che è parte degli affetti personali” , perché tu sei entrato a far parte di questa cerchia per me e, credo per molti altri. Caro Luca, dunque, tu scrivi parole che giungono a pungere il respiro. Andare, partire, tornare, temi pieni di gioia e di lacrime, di benventi e di addii e di tanto cuore che che offre e prende da tutto questo. Grazie quindi, grazie che nello straordinario “viaggio” che tu stai compiendo, tu riesca a trovare parole per noi che ci fanno vivere, di riflesso, qualcosa di eccezionale. Buona permanenza lassù, e buon “cammino”! non mi dispiace affatto. Grazie e a presto! Come per me e` un piacere leggere i vostri commenti. A presto! Grazie per aver risposto al mio commento. Ma dove lo trovi il tempo per noi? Sei molto gentile.Sono felice! Grazie Luca, riesci a far viaggiare i miei pensieri oltre le nuvole. sei grande Luca, per tutte queste descrizioni che ci dai. Grazie di cuore. I suoi racconti sono cosi precisi, che leggendoli provi una profonda emozione che ti fa sussultare il cuore, anche se riesce a raccontarli con una tranquillità che sembra un racconto di quando i nostri nonni intrattenevano noi bambini. La sua esperienza straordinaria, io, e credo tutti noi che la siaguiamo la stiamo vivendo come se fosse una nostra esperienza. Grazie per questa grande emozione che ha voluto condividere con noi terresti, e per tutte le foto , stupende, che ci invia permettendocidi vedere il nostro meraviglioso pianeta da un’ottica che, pernoi sarebbe stata impossibile da immaginare. Leggerti è sempre più una meraviglia ! Ma di certo l’apetto più toccante di questo tuo prezioso racconto sta nell’intreccio, oramai indissolubile, fra uomo e robot, cuore e metallo. L’emozione si muove, alita e smuove a sua volta tutti noi attraverso l’uso delle macchine e arriva tutta intera fino a qui, circumnavigando fra la Terra e lo Spazio. L’emozione che contraddistingue l’uomo è perfettamente adattabile a qualsiasi ambiente e non teme alcuna gravità. La tua emozione nel descrivere i distacchi e le partenze è la stessa che abbiamo provato noi, rimanendo quaggiù e questo è straordinario. Chirs per me, rimarrà sempre “il Reporter personale” di Karen che con quella sua magica foto ha sprigionato in me mille ricordi del mio passato. Chissà, magari fra alcuni decenni, riproverò le stesse emozioni e si smuoveranno ricordi simili, nel ritornare a leggere i tuoi racconti qui nel tuo blog o in altri tuoi spazi affini. Credo che sarà un onore anche il ricordare di avere scritto da Terra, fin sù nello Spazio, al Maggiore Luca Parmitano, primo Astronauta Europeo e Orgoglio Italiano ai comandi del CanadArm per la “cattura” di un veicolo in free drift (volo libero) . Un fraterno e sincero abbraccio per Mike, va benissimo. Caro Luca stai vivendo un’emozione unica e con la tua semplicità la stai facendo vivere, in qualche modo, anche a noi rendendoci partecipi anche di sentimenti nascosti. Un sincero augurio per la buona , anzi ottima riuscita della tua prima operazione di attracco, il giorno che toccherai terra , dopo un sospiro di sollievo,credo avrai anche un po di rammarico. Ciao Luca. farsi attraversare non è cosa da poco, non è da poco mischiare responsabilità ,condivisione umana e non, scienza tecnica ed emozioni e -penso poi -pigiare l’acceleratore e tirare il freno in quel turbinio di sensazioni ,fuori dal tempo e al contempo incredibilmente vere della realtà che tocchi, che doni al prossimo, ma d’altronde il prossimo è il domani che verrà..il tuo (nostro) primo compagno di vita . Grazie Luca per le splendide emozioni che ci fai vivere con le tue foto, i racconti della tua vita e del tuo lavoro in questi mesi!!! Lo spazio ci sembra più vicino e familiare da quando ci sei tu! Thank you so much for these lines! There are a lot of things we can understand better or we are introduced to through them. It is awesome that it’s you who will control Canadarm2 and capture Cygnus! 🙂 Congratulations! The emotional moments around undocking did not leave my heart untouched. It must have been hard to part with these wonderful people! Will you be able to talk to them during your time aboard? I wish good health to everyone on board and a great Expedition 37 with the new crewmates!! Il racconto di Chris mi ha fatto venire gli occhi lucidi, è un’emozione stupenda quella che ci permetti di vivere con quello che scrivi. Grazie! Riesci sempre a commuovermi…la tua sensibilità e allo stesso tempo la semplicità con cui la manifesti sono veramente qualità eccezionali che fanno di te una persona speciale! In bocca al lupo per il nuovo compito! Grazie ancora per un altro racconto che non finirà mai di stupire e rimmarrà impressa nella tua mente perchè l’hai vissuta realmente, e nella nostra che la leggiamo, perchè il tuo racconto è vivo, talmente vivo che sembra quasi percettibile il vivere quotidiano nelle vostre giornate. Sembra quasi essere sulla stazione come una invisibile presenza che guarda osserva e realizza l’immenso lavoro di chi prima di voi ha pensato progettato e realizzato un sistema di vita tra cavi, computer tasti e protezioni mai pensabile fino a pochi decenni fa. Grazie ancora e mi auguro di poter fra qualche mese acquistare un tuo libro dove raccogli tutti i tuoi ricordi ed emozioni di mesi di preparazione e di vita nello spazio. Chissà magari un giorno riuscirò anche a farmelo autografare. caro Luca, guarda commento poco, anche per non disturbare troppo. Ma devo dirti che mi commuovi! Mi piace il tuo modo di scrivere, di ragionare, di esprimerti, di valutare anche la gente che ti circonda. Sei fortunato, sì, ma te lo meriti! Ti abbraccio, se permetti. ciao da un tedesco che vive da 30 anni in Romagna e che è appassionati di stelle e pianeti. Grazie per farmi condividere un po’ la tua situazione e la vita lassù. Grazie per le sue splendide foto, dallo spazio, e per i suoi post……..Non tutti possono arrivare dove è arrivato Lei, ma tutti possono sognare di fare le cose che fa Lei…. That paragraph you wrote about your wife’s insights into the Saturday morning cleaning routine being a humble passage of time indicator which then takes on special significant meaning due to change is right up their with the greats in writing and insight! il tuo blog “partenze ed arrivi” mi colpisce particolarmente stasera. Vivo ormai fuori dall’Italia da moltissimi anni, e anche quest’anno sono tornata “in vacanza”. La settimana scorsa ho detto ciao a mamma, zii e amici….siamo venuti a visitare la Sicilia (splendida!). Oggi e’ partito mio fratello, e domani parto io. Che sensazione di malinconia e tristezza adesso. Essere un cittadino del mondo (e tu, persino extra-terrestre!!) e’ bellissimo e cosi’ eccitante, si formano delle amicizie cosi forti ma ogni tanto il peso di tutto quello che mi son persa e mi perdo si fa sentire. Spero sia piu’ leggero x te lassu’. In bocca al lupo domani con CanadArm e Cygnus, pensero’ a voi mentre voleremo, chissa’ se le nostre rotte coincideranno mai? Partenze ed arrivi! la vita è un continuo alternarsi di questi due elementi, che inevitabilmente suscitano emozioni! e tu, anche se uomo di scienza, razionale come ogni uomo di scienza, non sei immune alle emozioni (per fortuna 🙂 ). Se ti hanno scelto per manovrare l’aggancio del Cygnus utilizzando i comandi del CanadArm, c’è un motivo! sicuramente lo stesso che ti ha fatto arrivare fin lassù a veder le stelle!!! la tua bravura! A parte la bravura in ambito professionale, ti stai affermando soprattutto per la tua bravura nella comunicazione, nel condividere con gli altri, con i tanti, con i molti, la tua vita sperimentale e le tue sensazioni! Si diventa bravi professionalmente studiando e lavorando con impegno e sacrificio; ma non si impara ad essere “simpatici”, comunicativi ed “alla mano” anche a chilometri di distanza e con persone che non conosci personalmente! Buon lavoro e buona “cattura” del Cygnus.